Thesis- I will discuss Complementary Alternative Medicine with Reiki as one of the options in the Medical Environment. B. By show of hands does anyone know what “CAM” stands for? C. Today I’m going to explain Complementary Alternative Medicine and more specifically how Reiki as one of the CAMs fit into the Medical Environment. Transition: As we look at the first photograph can anyone explain what this Nurse is doing with the Patient? 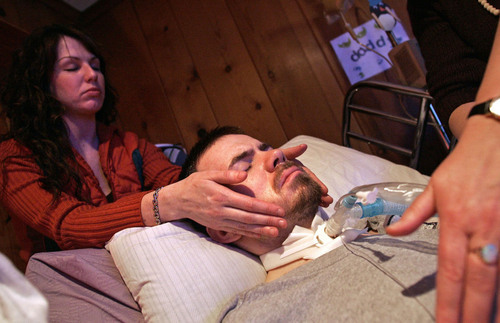 A) This Nurse is sharing a Reiki Treatment with a Patient in a hospital in Philadelphia Pennsylvania. The Lankenau Hospital offers Reiki as one of its CAMs that the hospital allows the Patient to choose from. 3) In 2008 the American Hospital Association reported survey results that 84% of hospital patients demand more CAMs to be offered by hospitals. A survey of Prevention Magazine Readers reports that 84% of them wish their Primary Physicians would advise them more about CAMs. Transition: Reiki has become part of a new terminology called Integrative Therapy that involves Medicine, Preventative Care and CAMS that treat the whole patient. 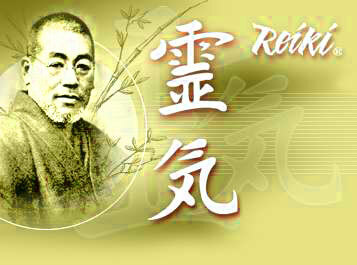 B) Reiki was founded in 1922 in Japan by Mikao Usui. 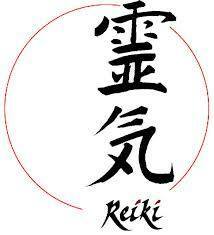 The Japanese word is two characters “Rei” meaning Universal and “Ki” meaning Life Force Energy. Reiki came to the West in the 1930’s where it was introduced in Hawaii. 2) The National Center for Complementary and Alternative Medicine states that Reiki is an energy therapy that focuses on the energy found within the body & electromagnetic fields which forms fields outside of the body. 3) The magazine Christian Century reported a UCLA study that 60 USA Hospitals offer Reiki as part of its patient service and 800 Hospital offer ongoing Reiki education classes. Transition: Reiki has many health benefits as a Complementary Alternative Medicine that works well in a Medical Environment. 1) According to the Harvard Health Letter 62% of cardiac cauterization patients at George Washington University agreed to Reiki treatments reporting that they felt more confident & cared for after the treatments and their doctor’s reports that the patients were more relaxed and cooperative. 90% of Open Heart patients at St Joseph Hospital in St Paul MN who received Reiki before and after surgery had a shorter hospital stay. 2) According to the Clinical Journal of Oncology Nursing: Reiki has been shown to facilitate a relaxation response in which the patient reports feeling of peacefulness, significant relief of pain and a deep sense of calm after receiving Reiki treatments. 3) According to the Journal of Alternative and Complementary Medicine Reiki can lower heartbeat, diastolic blood pressure, pain, depression and stress. Transition: As you can see there is a high demand in hospital patients for CAMS and Reiki has helped many of them. A. I have just covered what a CAM is and how Reiki is one of the choices available in a medical environment. B. Someone you know maybe offered a CAM choice when hospitalized and now you can share with them what Reiki is and how it may benefit them. C. According to the National Catholic Reporter Reiki is a Spiritual Practice based on the notion that the human hand can re-direct one’s life force energy to heal stress & disease. Reiki is the hottest new Eastern healing practice to make its way into the Western healing industry. Oncology Nursing Practice”. Clinical Journal of Oncology Nursing. Jun. 2008: 489-494. Lok, John. LIFE FAM-ALS-SKATEBOARDER 1 SE. Knight-Ridder/Tribune News Service. 2003 at CORE/ el Centro in Milwaukee, Wisconsin.. Knight-Ridder/Tribune News Service. Sachs, Brianna. Newspaper, NCCR.. “Reiki Goes Mainstream”. National Catholic Reporter.